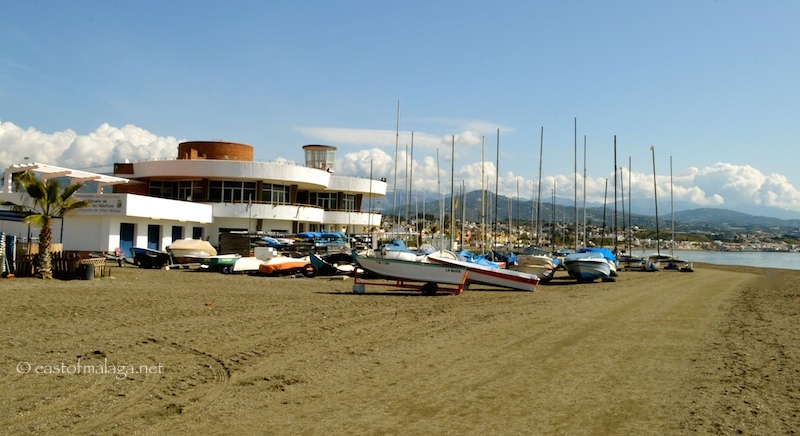 Torre del Mar: The Sun has Got His Hat On! We’ve had a lot of cloud and rain during the past week. Fortunately, Mr. Sunshine is never too far away, so this morning when he popped through the clouds, I hot-footed it down to Torre del Mar for a walk along the promenade. 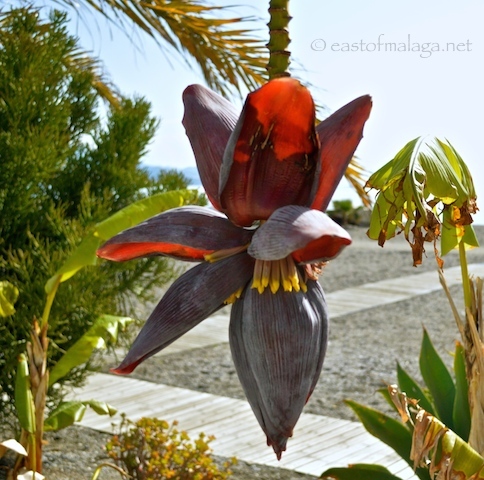 There is a lovely paved promenade at Torre del Mar, with beautiful gardens running alongside, and I’d only been walking for a few minutes when I came across this stunning flower on a banana plant. 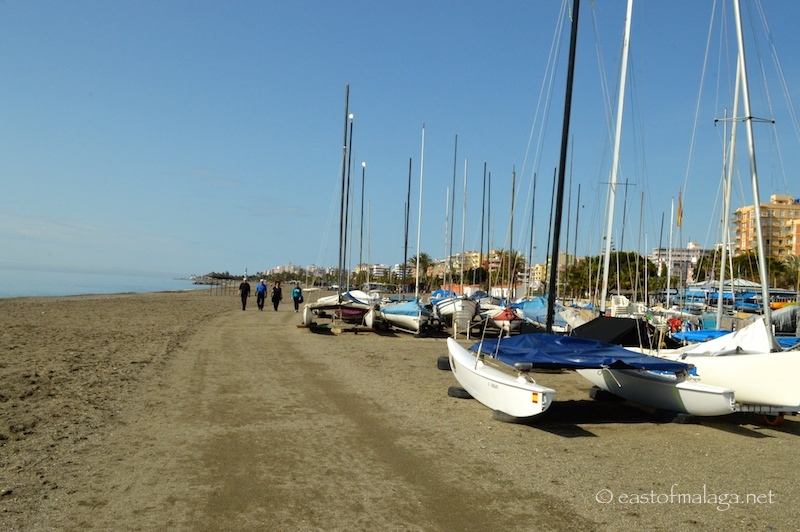 A little further on, as I approached the Sailing Club, I moved from the paved promenade onto the hard, compacted sandy path on the beach, for a better view of the many boats stored at the club. (You can see the clouds still threatening, over the mountains in the distance and indeed, as I write this, the rain has returned). Known as the Sendero Litoral, this sandy path runs from the Rio Vélez delta to the port at Caleta de Vélez – a distance of 3.4 kilometres, and is popular with walkers and joggers. Do YOU have a favourite place where you love to walk when you get the chance? 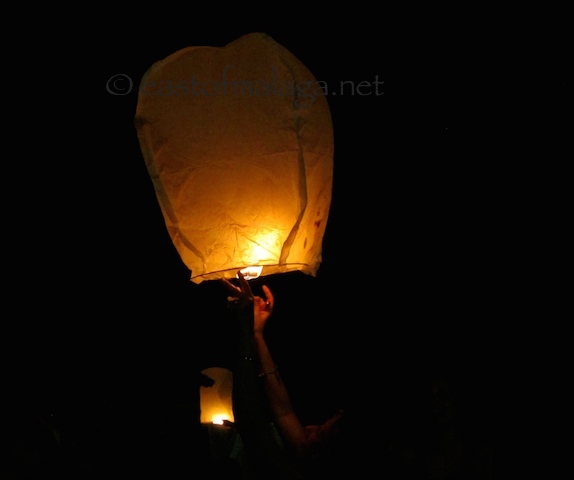 Taken on the beach during Monday evening’s La Noche de San Juan festivities. 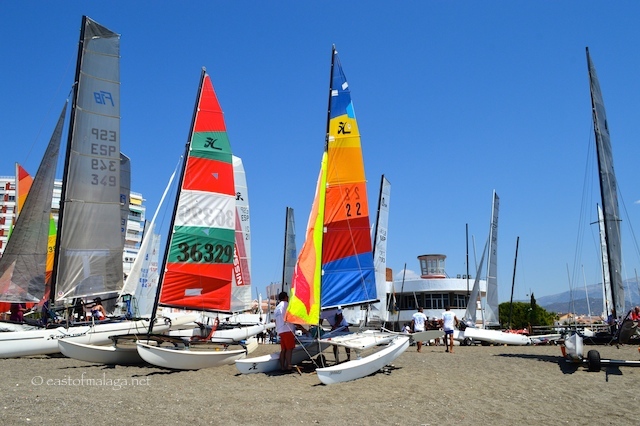 I had great fun over the weekend photographing the 1st Copa de Andalucía de Catamaranes (Andalucía Cup for Catamarans) hosted by the sailing club in Torre del Mar. The sun was shining and the sky blue, with just a breath of wind. 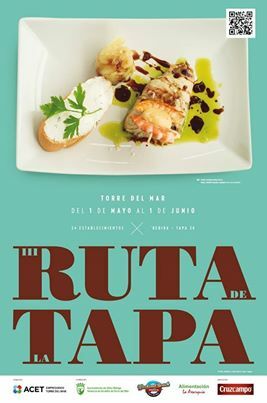 From 1st May until 1st June, Torre del Mar is hosting the third “La Ruta de la Tapa” (Tapas route) around the town. With 24 establishments taking part, and a drink plus tapa for only 2 euros, it’s a great way of trying out some new places to eat. Here’s how to join in the fun! Choose one of the bars and restaurants taking part, and when you go in mention that you are taking part in La Ruta de la Tapa. 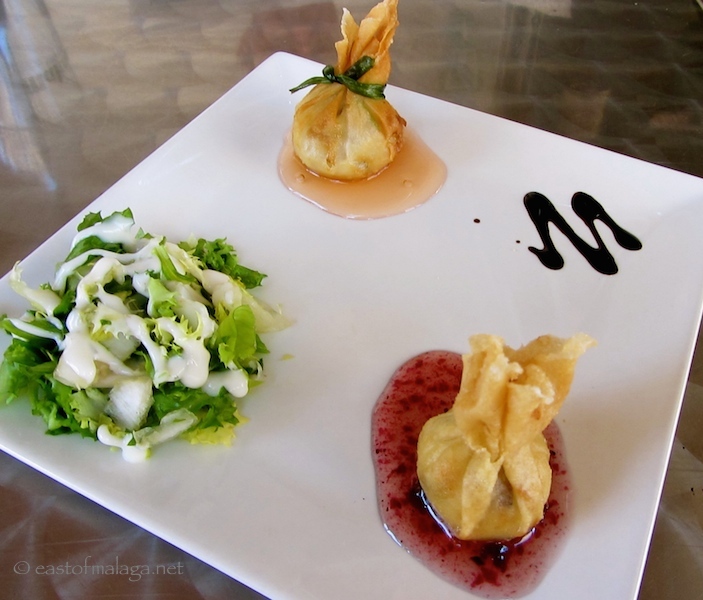 You will be served with a specially prepared, gourmet tapa and offered a choice of drink. 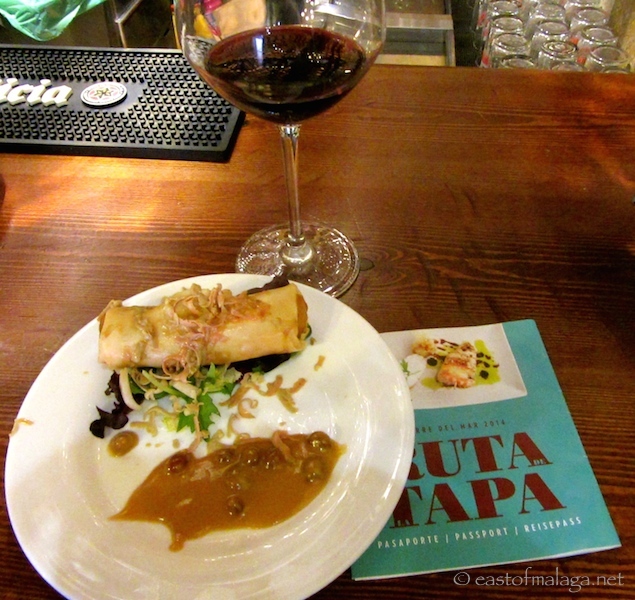 Ask for a Tapas Route Passport and have them stamp it. Each establishment is numbered and shown on the map on the back of the Passport. 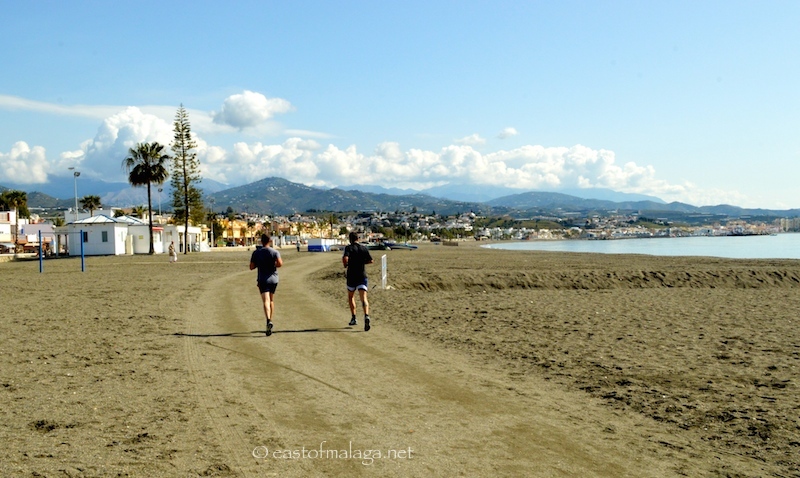 Follow the route around Torre del Mar. 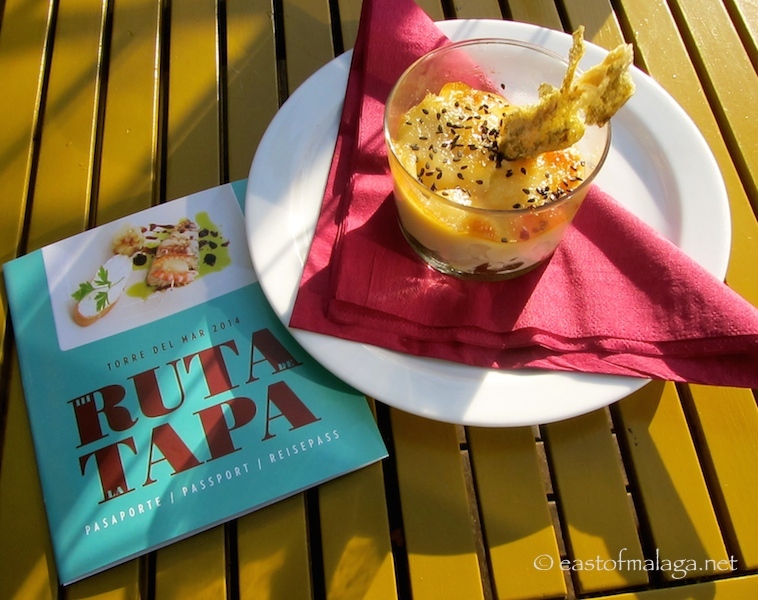 Make sure to get a stamp in your Tapas passport for each new place you visit and eat one of the special tapa. When you’ve visited all 24 establishments, hand in your completed and stamped passport for a chance to win 300 euros! Next is “Volován con morcilla de Burgos, queso de cabra y piruleta de chocolate blanco con chorizo”, a black pudding dish with a white chocolate lollipop from Las Yucas, Avda. Andalucia 64, dup. (Yes, another favourite). 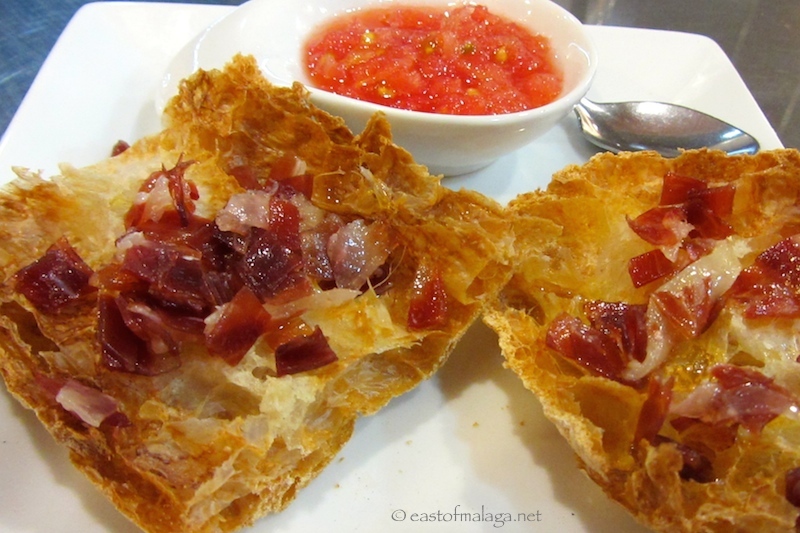 Café Bar Centro, Calle del Mar 25, offered delicious Spanish ham with “Coca de pan de cristal con Ibérico”. 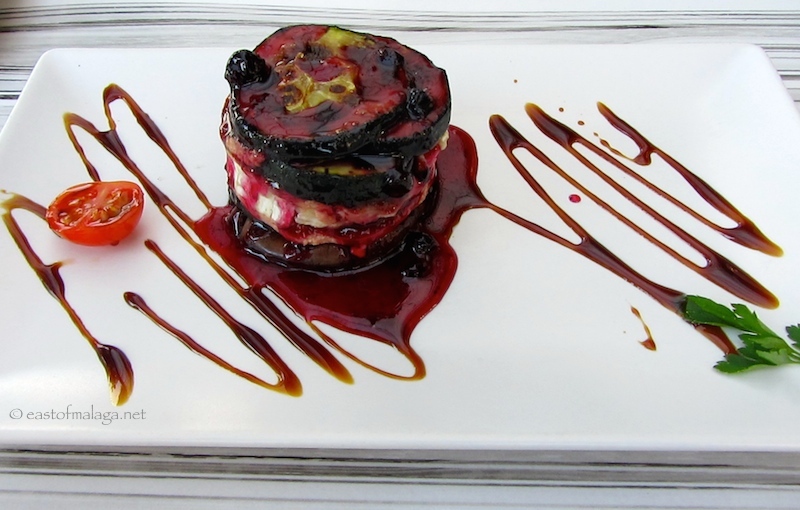 “Delicias de primavera” is Spring-time on a plate at 20 de Tapas at Avda. Toré Toré. “Mini brochetas de polo braseado con salsa Tikka Masala y patatas artisanas” is a delicious chicken curry dish from Mi Mundo, Avda. Toré Toré 16. “Roll relleno de pollo y setas silvestres, con reducción de vino de Málaga y virutas de foie” is another tasty chicken dish from A Lareira, Calle Pasillo Batería, 7. 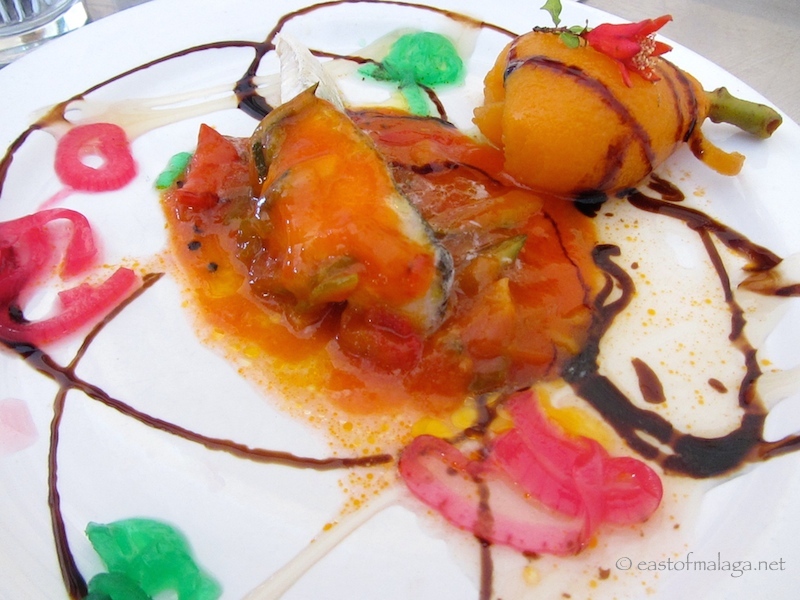 “Brocheta marinera con verduras en tempura y mahonesa de marisco” , is a delicious fish-skewered tapa from Casa Andrés, Paseo de Larios 36. So, these are the bars and restaurants I have visited so far on La Ruta de la Tapa in Torre del Mar, but I’ve lots more places to visit before June 1st. Wish me luck! 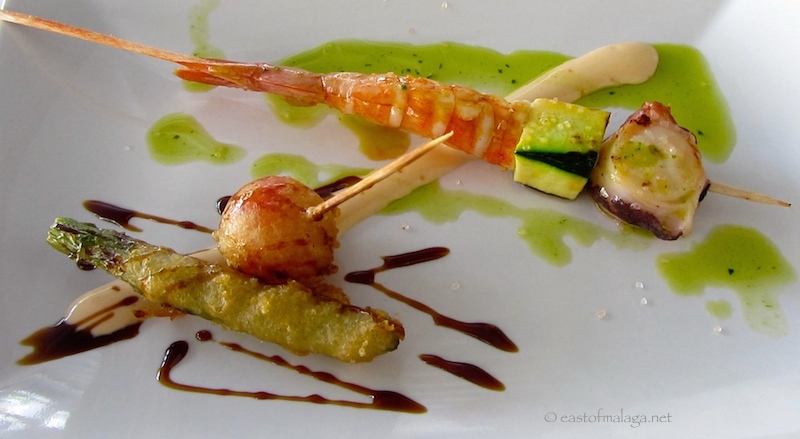 Which of these tapas would you like to try? 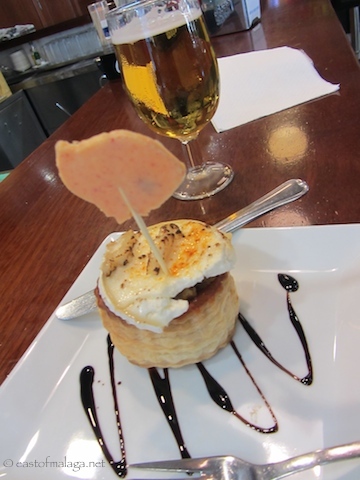 Or, if you are in La Axarquía and joining in – which is YOUR favourite tapa?